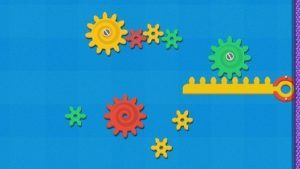 Crazy Gears is the perfect app for kids who like to understand the way things work and what makes them tick. 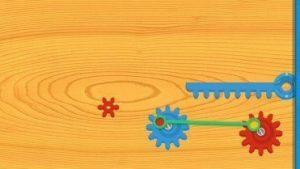 With Crazy Gears, kids can explore various types of gear puzzles as they manipulate various gears, chains, rods and pulleys to complete each level. 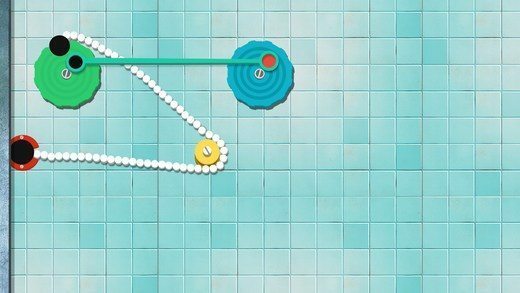 I thought that this app was really neat, and something that would be great for kids who like to understand how mechanisms work and how their parts fit together. I would recommend this app for older preschoolers and younger elementary age children, around ages 5 through 9 years old. And, I want to mention that this app is currently 50% off through April 9th, 2015. 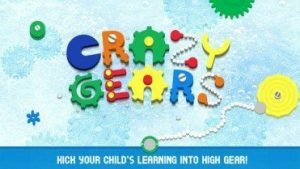 The Crazy Gears app is composed of various reasoning challenges that will help children use logic and strategy to solve levels. 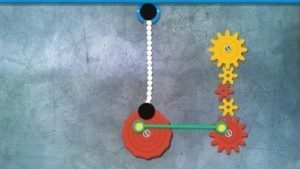 Kids will manipulate a series of gears, chains, rods and pulleys as they complete each level and learn how different mechanisms affect one another when constructing a machine. The app also enables children to understand more complex notions, such as: tension, motion and gravity. I really love the way this app teaches children to think outside the box and determine how to solve problems in a scientific way. There are no rules or instructions, it is just your child and the tools provided, used any way that works. My four year old son has always been fascinated with how things work and what makes them “go”, so this app is perfect for him. I love that the app features a very kid-friendly design, while also teaching complex concepts at the same time. Some of the main topics explored are as follows: gears, mechanical systems, action and reaction, motion, ratios, tension, torque and speed. The bright colors and seamless interaction make for a fun learning experience as well. I really enjoyed the Crazy Gears app. I would definitely recommend this app to those with kindergarten age (and up) children, especially those with an interest in mechanical things. I will definitely be playing this app with my son more!